We have a new Genuine Stromberg dealer in New Zealand! Graeme McNeil at Macs Speed Shop in Whitford, Aukland is our new man. So if you’re in NZ, and you need Stromberg carbs, linkages, or service & resto parts, you can call Graeme on 649 530 8920 or email him at graeme@macspeed.com. 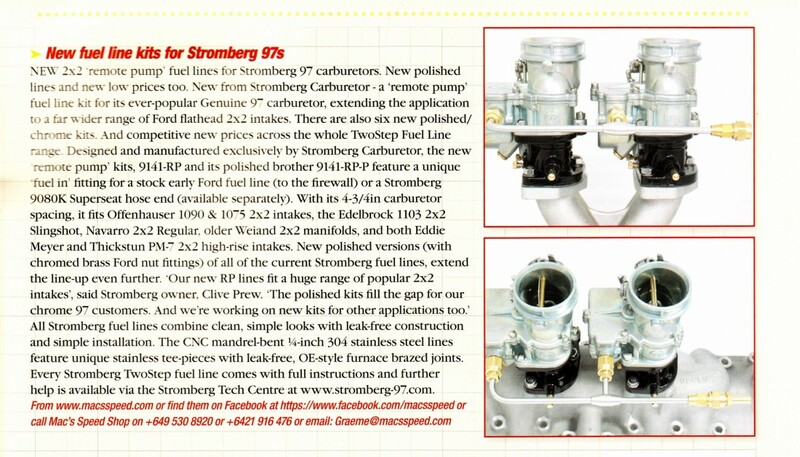 This is a great clip from a recent Hot Rod NZ magazine issue featuring our new fuel lines. Thanks to Graeme, Garth Hogan and Paul Grace for organising it.